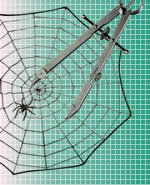 SpiderWriting Web Design and its sister site SpiderWriting SEO are the brainchild of Bill Marshall. Bill is a former bookseller and sound engineer who moved into web design in the mid-1990s during his time with legendary and much missed booksellers James Thin Ltd.
Born and brought up in Edinburgh he also has connections in the North East of England where his mother was born, and for a while travelled extensively around the UK mixing live music and theatre. His approach to web design and search engine optimisation is rooted in his belief that integrity, quality of workmanship, and elegance of design are fundamental to providing the bedrock of a successful website. 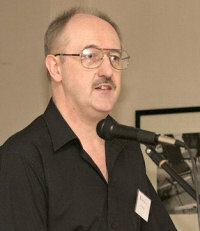 Years of writing newsletters and articles as well as a love of quality literature have given him the ability to write quality copy to capture the attention of both readers and search engines, while his photographic experience has developed a strong appreciation of balance and composition in visual media. A scientific approach and attention to detail also allow him to analyse a site and detect its strengths and weaknesses. With SpiderWriting you can trust that you're in the safe hands of a company that will do its best for you. Contact us today to find out how we can help build your website.